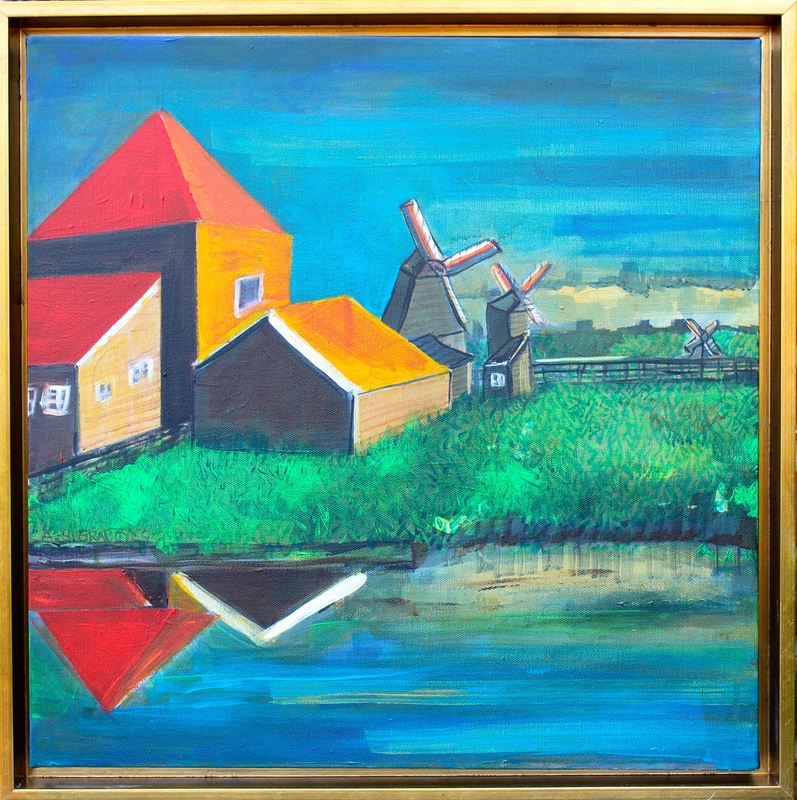 There is an old painting technique, used by the 17th century artists, called the Flemish Technique. 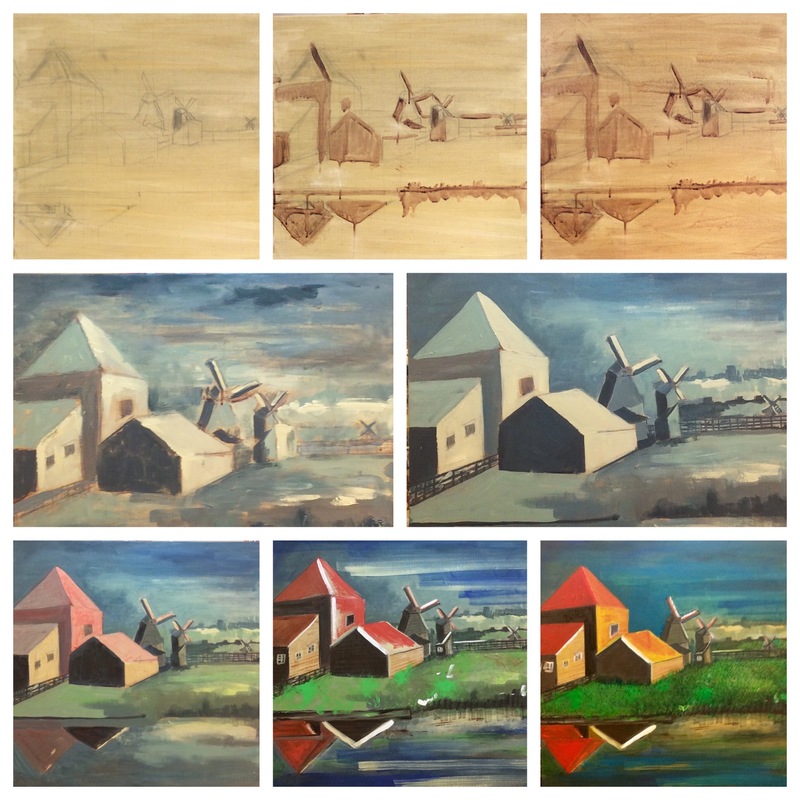 It is a system of gradually adding layers of color to indicate dark and light areas. Since the old Dutch masters (like Rembrandt) used oil paint on wood, it took weeks if not months to complete each layer. I quickened the process by using fast drying acrylic paint. 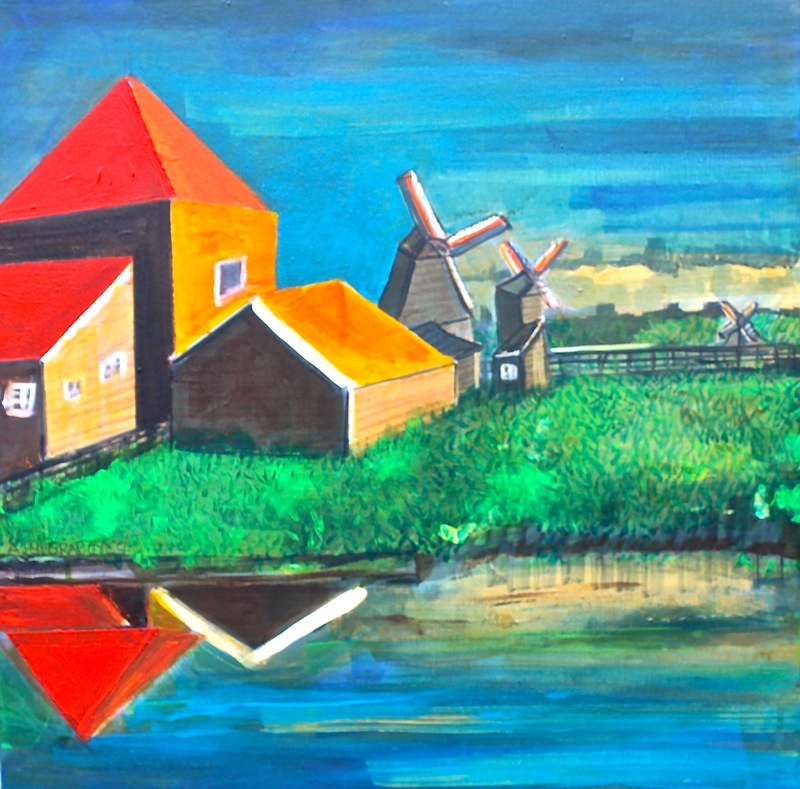 My windmill painting is based on that technique.